Lata Mangeshkar continues to conquer new peaks and hearts. Sanjay Leela Bhansali's idea of recording a song for his forthcoming film "Guzaarish" in the Nightingale's voice has now turned into a full-fledged album. That self-proclaimed Lata Mangeshkar fan Sanjay Leela Bhansali has turned into a music composer with "Guzaarish" is a well-known fact. What no one knows is that he has been secretly working on another album composed exclusively and unconditionally for the legendary singer. And now when she turns 82 on Sep 28, Bhansali's precious secret project will finally be given the attention he had been craving for all these years. Though Bhansali refuses to speak about his own personal ode to the Nightingale, a source close to the director says: "For the last year, Sanjay has been completely consumed by 'Guzaarish' and its music. Having taken on the task of composing a full score for the first time, Sanjay had put his dream album on the backburner. He now intends to go at it full-throttle. Since her birthday is just a few days away, he will get to seriously work on that project." Bhansali said: "I know every nuance in her voice. She is a miracle of nature. And there's so much in her throat that is still untapped. I first thought I'd create just one song for her in 'Guzaarish'. Then I thought, why one song when a whole ethos, era after era of supreme excellence is embodied in that voice?" "Guzaarish" is inspired by one of Lataji's imperishable melodies "Hai tere saath meri wafaa mein nahin to kya", composed by Madan Mohan and written by Kaifi Azmi for the film "Hindustan Ki Kasam". 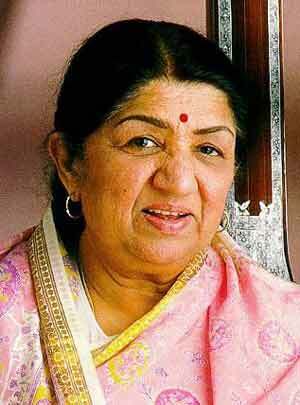 "Lataji is far more than a singer. She mirrors all the beauty of the soul. It is that beauty that I want to capture in my songs," Bhansali added.